Muscle testing (also known as applied kinesiology) is a method of receiving answers from the body. An electrical network of energy runs through the nervous system feeding the entire body and runs through the muscles as well. If anything impacts the electrical system that doesn't maintain or improve the body, your muscle will not receive enough energy and the response will register as a "no." Conversely, if the effect benefits you or is positive, the muscle will hold its energy and that will be read as a "yes." This response will also register if you ask the body if something is true or false. Muscle testing runs a wide gamut in practice (like so much it depends on the talent and view of the practitioner). I have worked and trained with chiropractors and acupuncturists who muscle test in their practice, the "hold your arm out and push" testing many are familiar with. Most of these practitioners learn the basics in about 15 minutes in a seminar and move on. I am a root an energy practitioner and I know how little many of these folks really understand about energy and muscle testing. These seminars don't even give any recommended follow-up reading! I have practiced and studied energy for many years and while I know I'm not able to be a chiro or acupuncturist, I also believe they are not qualified at the level I am to do high level muscle testing. 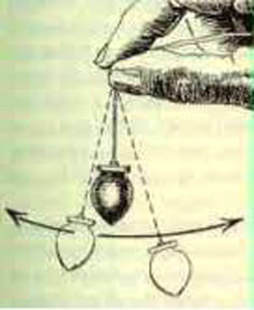 I use a pendulum to muscle test as it gives the most clear and nuanced feedback. My pendulum and I have a language that is quite intricate and heightens my intuition and understanding of issues. Testing is helpful for figuring out the root of an issue that doctors and practitioners are stumped by; many clients find me when others have given up and they don't know where else to turn. To have some understanding and clarity after a session when others have left you hanging is a gift. It is difficult for people to grasp that I can do it by phone but energy has no boundaries (the human mind is another matter). Testing works better by phone than in person, it amplifies energy and it isn't uncommon for the phone to become static or the call to drop suddenly if there is a big energy response to what we are working on or a significant shift in the energy body. Part of the process of identifying issues is having the body give the age it happened and that is when you start to trust the process more as it will very often be the age when parents were divorced, a sibling was born, a loved one passed away, or a medical event in your life occurred. It happens too frequently and naturally to be a fluke and it becomes clear it isn't random or me guessing (if you are a skeptic). I know this information because it is your body speaking through me, I couldn't know it otherwise. Because muscle testing bypasses the mind (which can be quite a trap) and accesses the subconscious, it can give illuminating answers. That supplement you are convinced is going to change your life and you are in love with the thought of? Your body may say sorry, not interested... it isn't impressed with what your mind is attached to. The body has a full consciousness that resides within the subconscious, and muscle testing is a way for your body to communicate specific likes and dislikes in a very tangible way.